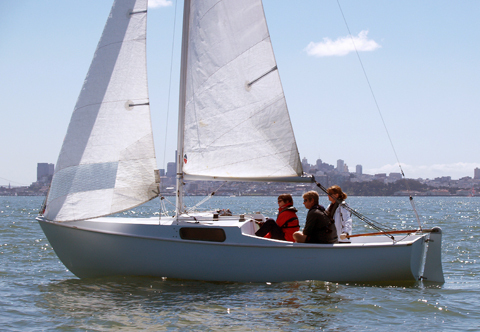 This class is an eight hour introduction to sailing course with both on land and on-the-water instruction. We will work on rigging, boat handling, terminology, knots, docking, anchoring, general comfort on the water and other basic seamanship skills. The class is taught on a San Juan 21 in Westsound on Orcas Island. Participants must be able to swim and bring comfortable close-toed shoes and warm, wind/weather breaking layers. More advanced training and ongoing lessons to work on further skill development are available by request. The course fee is $250 and includes an optional “skipper check-out” to be scheduled separately if the sailor is deemed competent in all basic skills at the completion of the course. 2-3 participants per class.